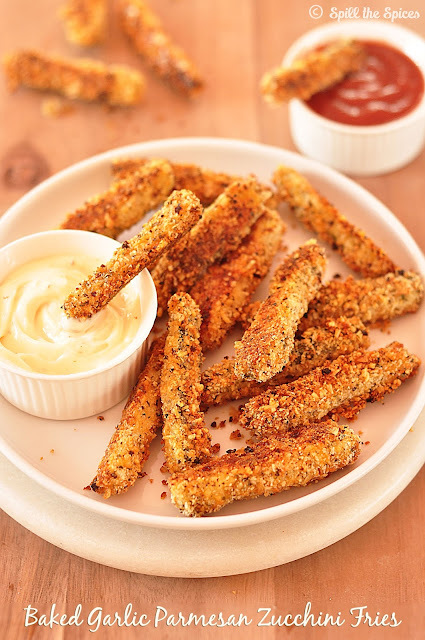 Few weeks back while browsing through Facebook, I saw this video of zucchini fries from Tasty. The fries looked so appetizing and it was baked, not deep fried! I couldn't wait for the weekend to try my hands at making these zucchini fries. Saturday came and I was all set with my ingredients. To be frank, I was not expecting the fries to be crunchy, but they were super crunchy and delicious!! I baked the fries again next weekend adding more flavor this time. I used dried garlic bits, Italian seasoning mix and chilli flakes. When you take the fries out from oven, it will be slightly sticking to the pan. The key is to leave the fries in the baking sheet for 5 minutes, before transferring to a serving dish. I couldn't wait for the photo session to get over to attack these fries!! Enjoy them as such or serve with mayonnaise, chilli or tomato sauce. Do try these crispy baked zucchini fries and make sure to bake a big batch as these are too addictive!!! 1. Preheat oven to 200 C | 400 F. Line a baking sheet with aluminium foil and lightly grease with oil. 2. 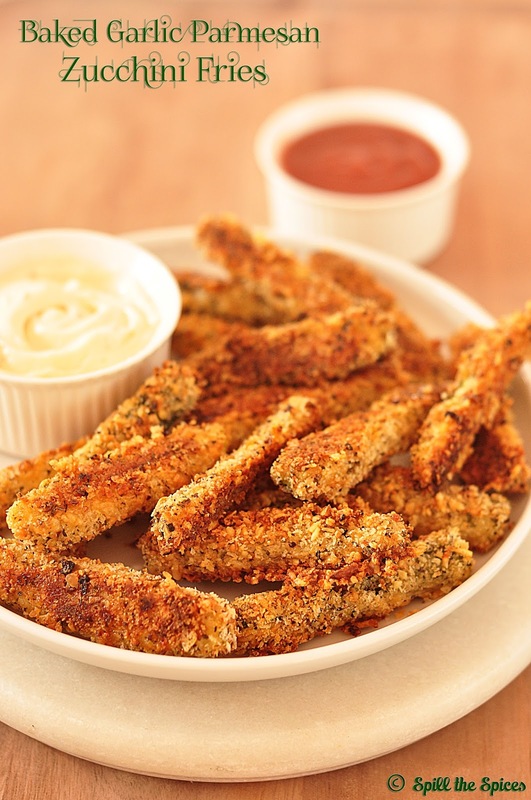 Trim the ends of zucchini and cut them into ½ inch strips. 3. In a shallow bowl, beat the egg and milk. In another bowl, combine the panko breadcrumbs, Parmesan, garlic, Italian seasoning, salt and pepper. 4. Dredge the zucchini strips in flour, dip in the egg-milk mixture and dredge in the panko mixture making sure it's well coated. 5. Place on the prepared baking sheet. 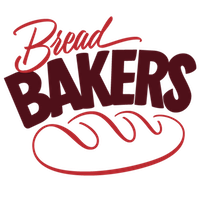 Lightly spray with oil and bake for 25-30 minutes or until golden and crisp. 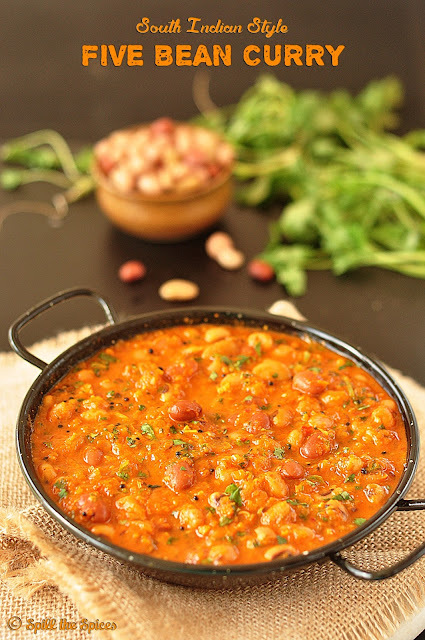 We love all kinds of legumes in any form - be it a curry, pulao or a simple sundal. Beans, pulses and lentils are a great source of carbohydrates, protein and fiber and an ideal meat substitute for vegetarians and vegans. Legumes are an inexpensive source of protein, with a low amount of calories and keeps you fuller longer which in turn prevents any unnecessary snacking! They are cholesterol-free and contain no saturated fat. 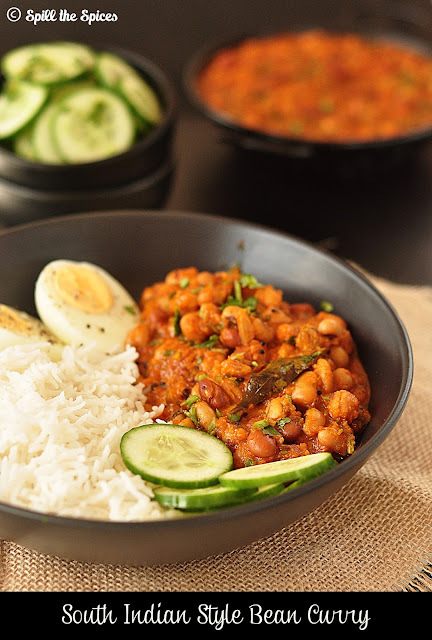 Today I'm sharing a delicious spicy five bean curry which can served with roti/phulka and rice. 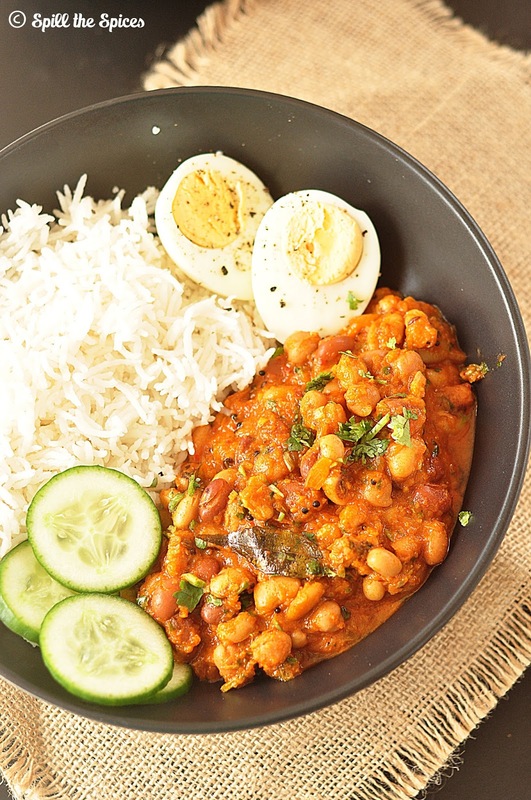 This South Indian style curry takes about 45 minutes. You can add any choice of beans, I used red kidney beans, chickpeas, lima beans, butter beans and black eyed beans. Canned beans also works and save a bit of time too! 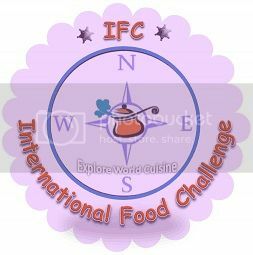 The main spice that imparts flavor to the curry is the South Indian staple - sambar powder. We love the curry to have that extra kick of spice, so please adjust the chillies if you prefer less spice. I served with rice, boiled eggs and cucumber. Off to the recipe now! 1. In a large pan or kadai, heat oil. Add mustard seeds and once it pops add cumin seeds, fennel seeds, asafoetida and fry till golden. 2. Add the curry leaves, garlic, ginger, onion and fry till the onion starts getting golden. 3. Add the tomato puree, turmeric powder, red chilly flakes, sambar powder, pepper powder and fenugreek powder. Cover and cook for 10 minutes stirring in between. 4. Add 1 cup water, salt and cover and cook again for 10-12 minutes or till the gravy has thickened stirring in between. 5. Add the beans, coconut milk, 1 cup water, adjust the salt and mix well. Cover and cook for another 10 minutes. Please adjust chillies according to your spice preference. You can add any beans of your choice. Wish you all a very happy and fun filled New Year! I know I have been missing from the blog for sometime and keep saying I will be regular, but life got little busy and blogging took a back-step. With things settled down, I hope to blog regularly 😊 I'm starting this New Year with a healthy muffin recipe which I baked as part of the Bread Bakers. Our host Pavani of Cook's Hideout asked us to bake a healthy bread with or without yeast which can be using whole grains, no sugar, gluten-free etc. I found this delicious and healthy muffin recipe in Ambitious Kitchen. 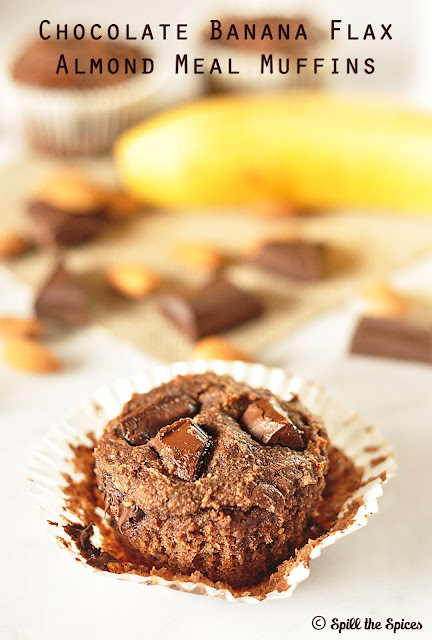 This muffin is made with almond meal and flax seed meal and the good thing is there is no sugar, no butter and just 1 tablespoon of oil. I did little tweak and added some cacao powder and maple syrup as my bananas were not that sweet. 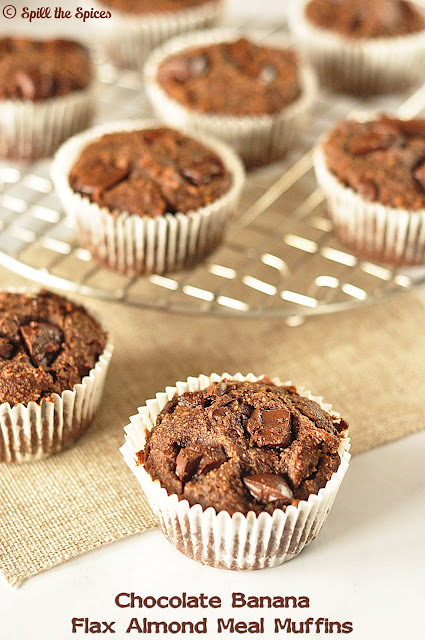 The muffins were less sweeter, but the chocolate chunks added that extra sweetness. I used dark chocolate bar, but you can use one with less cocoa. Whether you are following a healthy diet or not, try these moist and soft muffins. I'm sure you and even kids will love it! 1. Preheat the oven to 180 C | 350 F. Line a muffin pan with paper liners. 2. In a mixing bowl, add almond meal, flax, flaxseed meal, cacao powder, baking soda and salt and whisk well. 3. 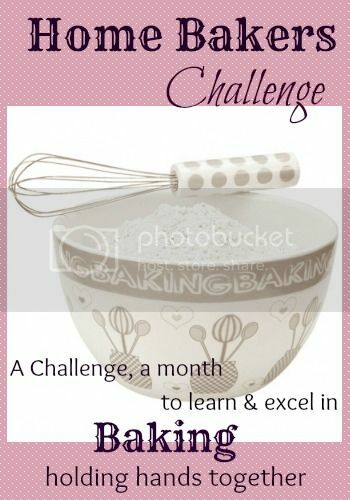 In a large mixing bowl, beat the egg and add mashed banana, maple syrup, oil, vinegar and milk. Mix until smooth and creamy. 4. Add the almond meal mixture and mix until just combine. Fold in the dark chocolate chunks, leaving few aside to sprinkle on top. 5. 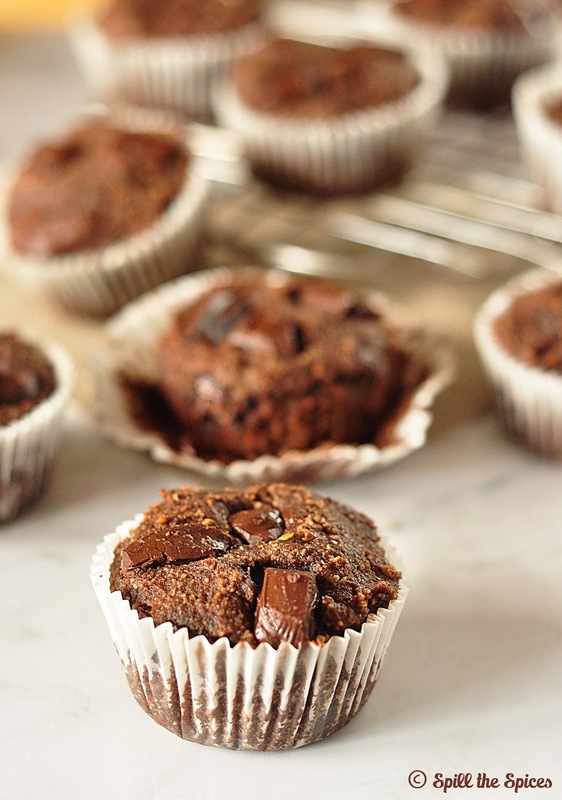 Scoop the muffins batter into the paper cups and sprinkle the remaining chocolate chunks. 6. Bake for 20-23 minutes or until toothpick comes out clean. Cool on a wire rack. Cacao powder is optional. You can substitute with cocoa powder. Maple syrup is optional. My bananas were not that sweet so I added maple syrup. Original recipe calls for apple cider vinegar.